If you love everything HOME DEOCR - this club is for you! Discover A NEW WAY TO BE REWARDED! 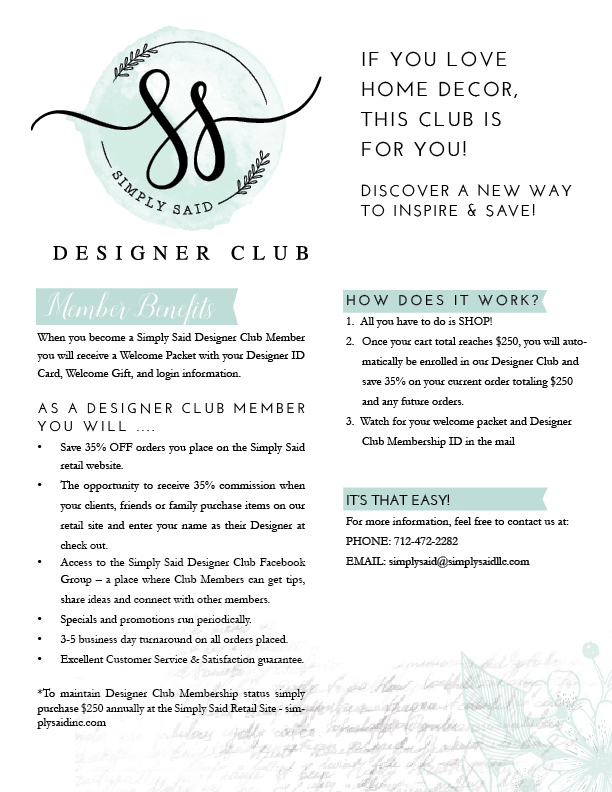 When you spend $250 you will automatically be enrolled in our Designer Club and save 35% on every purchase. View the Details below for more information or CLICK HERE!